Discussion in 'The Crossroads: General Cross-Platform Talk' started by Diablonar, Sep 28, 2014. Which update do you think was/is the most important one so far? Yes people, you saw it coming. 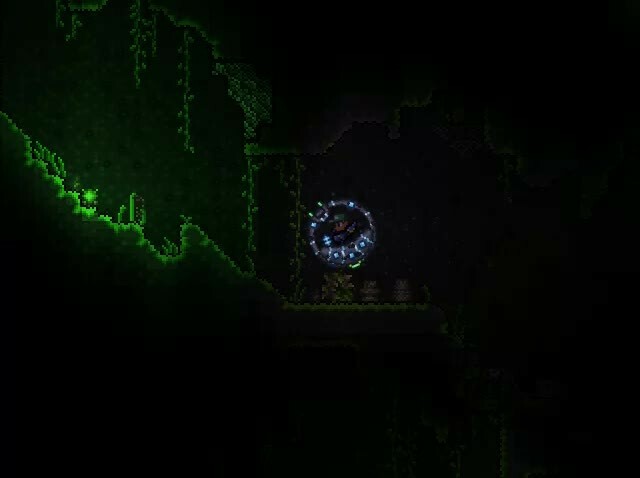 A new place to discuss the future and spoilers of Terraria. It's odd that this thread didn't exist already. As always, this is a multi-platform thread. We're not discussing solely console- or PC-specific content, everything goes here, also because the consoles tend to adapt to the PC version anyway. Keep in mind the Poll is speculative, you may change your opinion over time, hence why I offer 1.3 as an answer! You can change your mind and revote later. This thread is intended for posting spoilers, as well as speculative inputs. SpaceDolphinZ, FlyKip, The Dryad and 7 others like this. jerrychan009, vanhienblog, Creeperfriendlyhugs and 3 others like this. I'm gonna say 1.3 even though it hasn't came out yet. It's important because it's Red's last time updating Terraria as Skiphs & Yoraiz0r are taking over with the updates in the future along with Cenx being the new Lead-Developer. jerrychan009 and vanhienblog like this. This is actually rather difficult to answer, but I just had to cast my vote for that 1.1 update. While I know that 1.2 was really the second coming of Terraria, (and even bigger if I recall correctly), but... I remember emptying out the dungeon and having already killed Skeletron, and spending time in the underworld... the game before 1.1 did not have many repetitive challenges in it. But the real threat of 1.1 was that the world could really make your life hell. jerrychan009, Reloch, Ori and 5 others like this. I agree with Sarasala, Hardmode was the big thing for Terraria. There's been nothing bigger or better since, and I personally crave for more difficulty and another "mode". I'd also like difficulty settings that primarily decrease invincibility time after hit. That'd make the game a lot harder Gonna make a balancing thread soon if I remember. 1.1 also had a direction to it. The later updates were more or less to fill in more stuff, but 1.1 felt like it advanced a story, by causing the world to change and become a threat in itself. Imo Terraria needs more story-feel like this, more actual advancement beyond just ores and bosses. Gaurhom, Grand Paladin Tyrux and Fruitbat like this. Yeah 1.1 is the most important. In my opinion 1.1 is the update that gives the major challenge, while 1.2 is to me more likely more content and vanity and 1.3 probably more adventure. jerrychan009 and Gaurhom like this. Considering it is the future of Terraria, I don't think there should be a sequel. This is because there isn't much of a story in the game, instead there are unlimited possibilities. But think if Minecraft, no comparison intended, were to have a sequel? It wouldn't and shouldn't work. Yes, the current Terraria is restricting the developers from more grander things, but it's strange. Just my opinion and I wanted to get it out. Nonetheless, when the new game comes out, assuming it will, I will gladly buy it. jerrychan009, FrozenToothpaste, Gaurhom and 4 others like this. jerrychan009, DaPielord, GoldenArrow and 3 others like this. Hockeywiz, waiting just makes you even more excited for the game. But duuuuuuuuuude, I wanna fish. jerrychan009, childOFcybertron, Gaurhom and 1 other person like this. Yes, I think it looks awesome. Yes, I think it may degrade the game/be op. jerrychan009, Thinktank, randomterrarian42 and 1 other person like this. Jokes aside, I think it won't be the same after 1.3 strikes us. jerrychan009 and suu like this. No. You can mine potentially up to 60 blocks per second with Shroomite Digging claws/Picksaw (the maximum you can get) as well as blast everything to bits with a rocket IV's. This mount is actually a downside because it actually looks slower to mine with and you can't use a weapon while on it. The only benefit I really see is it floats. Very nice nonetheless. jerrychan009, Xman101 and Fruitbat like this. The floating alone means flying, which is op enough for me. Also, the picks and stuff aren't that fast in practice unless you're making an old fashion hellevator, which you could just as well use bombs for. This thing lets you have full mining directional control, mining at distance etc, it takes mining to a new and convenient level. It definitely is a huge asset, unless there are things we haven't been told. What I see it as is that it isn't 'OP', but instead just a different way to mine. Assuming this works just like current mounts do, being unable to use weapons would be a huge detrimental factor. jerrychan009 and Fruitbat like this. If you get get off it as easily as you can swap a weapon, the difference may not be that big. But I haven't tried the mounts yet, I stopped playing before the Spectre Armor was split into several pieces. Wanted to play fresh in 1.3. In other news.. Is this legit? When did this happen in that case? How can people expect an update still heavily in the works to be released this month or the next? I mean, yesterday Cenx just asked for testers for the 1.3 update. The process to get the right people in itself can take a while and then they have to start testing. The devs then have to adjust the game accordingly, for balance, bugs and such. There's no point asking for testers if you're going to be finished next month. jerrychan009, Dragrath and Fruitbat like this. In Pedguins twitch stream Cenx said there will be more clothing options to chose from at chargen. You're kidding me, right? When has it ever been that easy to dig tunnels with a mining tool and not have any inconsistencies from the player jumping and twitching all over the place? Also notice that this mount, whatever it is, automatically creates sloped blocks, which is extremely helpful if you want to shape large amounts of land and saves a lot of time that would otherwise be spent manually hammering all the corner blocks. And who's to say you can't attack things while using it? We don't know what its full capabilities are; maybe the mining lasers can harm mobs as well.